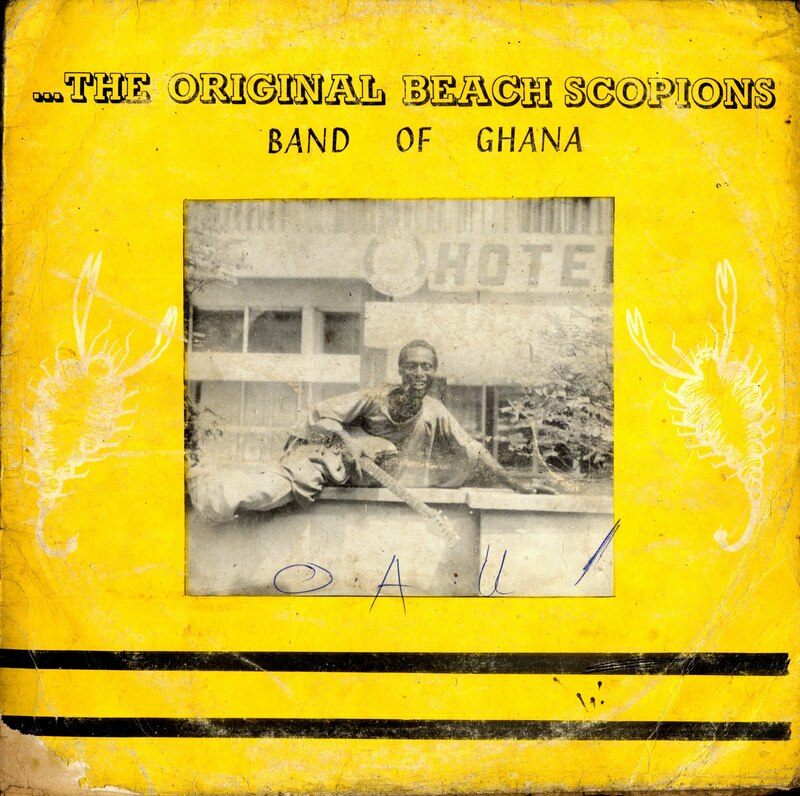 For the next selection on the highlife turntable, I have selected the song Esi Nana by the Original Beach Scorpions Band of Ghana. John Collins recorded two of their songs and released them on his Electric Highlife compilation. His liner notes do a good job of detailing the bands chronology. Formed in 1973 by Anthony Scorpion they had an instant hit in the song "Momo Yengye Yeni (Let's Celebrate). 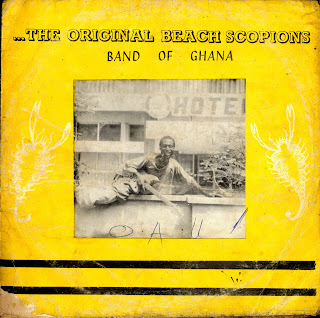 It appears the band moved with Anthony Scorpion to Eastern Nigeria in 1977 for seven years and recorded several LP's. The band was reformed in Ghana in 1984 with percussionist Joyce Gilbert. This song is taken from an Awosco and Sons release circa 1979. The record label was based in Port Harcourt with an outpost in Oshogbo. I really like the song. The song starts with an instrumental section that sets the pace for the vocals which then give away to a really nice guitar solo. This pattern repeats itself through the song and there are many great stretches. Check out the extended guitar solo starting at the 1.54 mark, the vocals at 4.37 and 7.30 mark, the intricate guitar lines around the 8 minute mark and the energy of the final vocal burst. All first class stuff. I hope you like it.